We provide top quality equipment, accessories & people to make your event run smoothly. 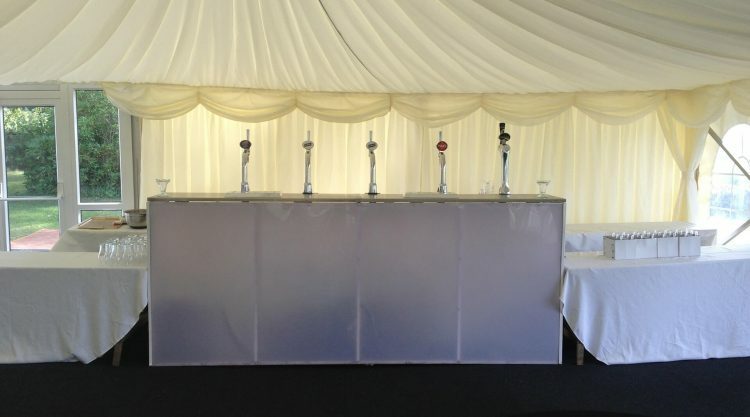 As specialists in the provision of support to the outdoor events industry we offer a comprehensive range of services. 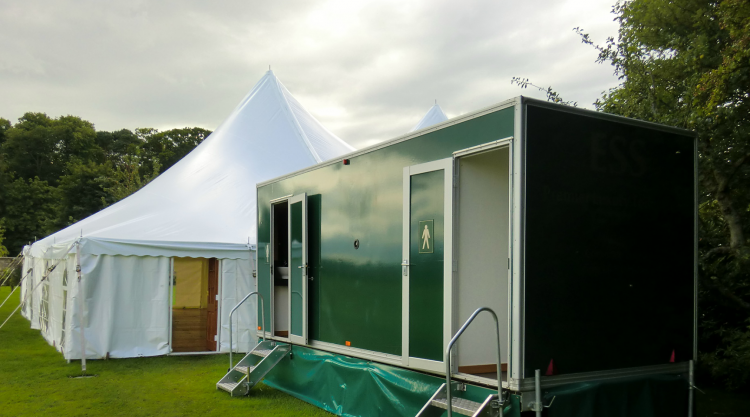 Among these are luxury toilets, outside bar and staff, refrigerated trailers, mini marquees and accessories to help your event go perfectly. We also work with a range of partners, so if you don’t see something on our site, don’t hesitate to ask. We are located in the heart of the Northumberland, covering a large geographical area, including Northumberland, The Borders, Cumbria, County Durham, Tyne & Wear, Teesside, and Yorkshire. Travelling further afield can be arranged when required, with our previous assignments having included providing facilities as far away as John O’Groats. We’re happy to provide the services you require, when and where you need them. PLANNING AN EVENT? WE CAN HELP. We cover a range of events, including weddings, birthday parties, anniversaries, corporate events, agricultural shows, music venues, festivals, charity events, film sets, and sporting events. 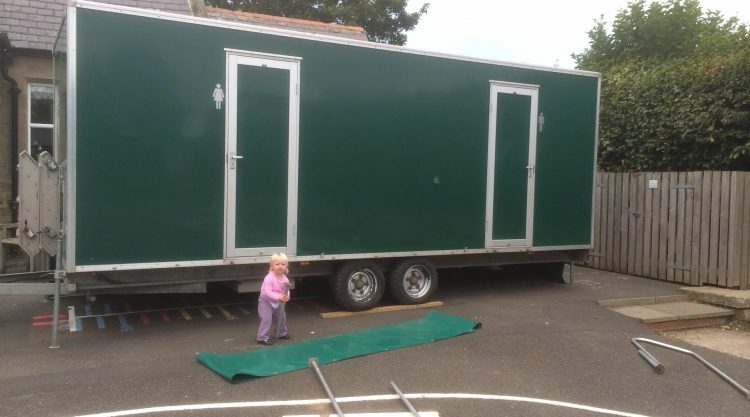 Our luxury toilets and fridge trailers also provide emergency or insurance cover to pubs, restaurants, student halls of residence and such like, in the event of facilities failing, or during peak trading periods. For more information please get in touch. 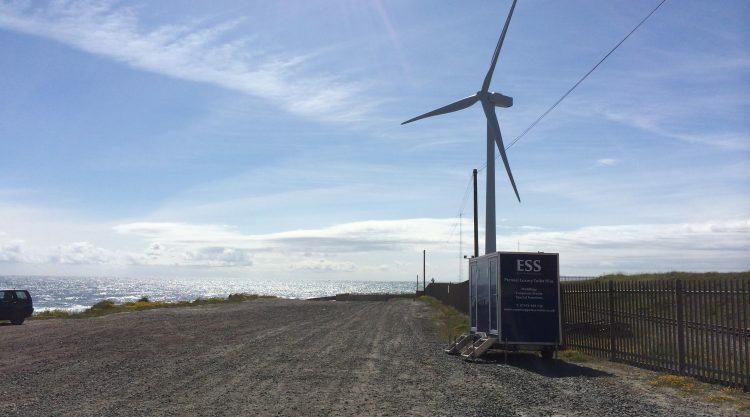 ESS supported the opening of a northern wind farm, showing we can provide toilets for an array of extraordinary events!! 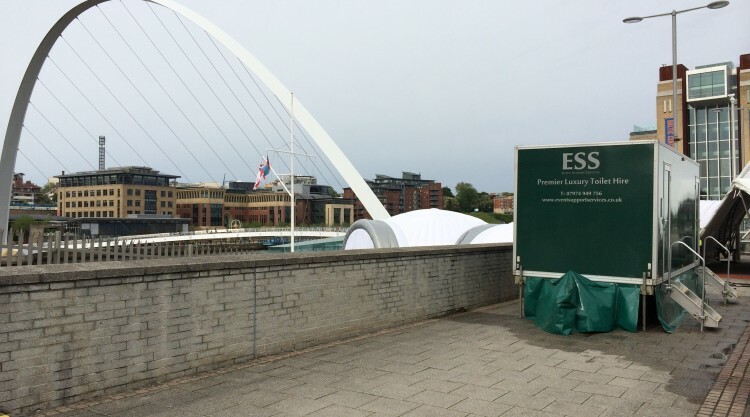 In 2015 we set up our Luxury Oak unit at Sage, Gateshead for BBC film work. 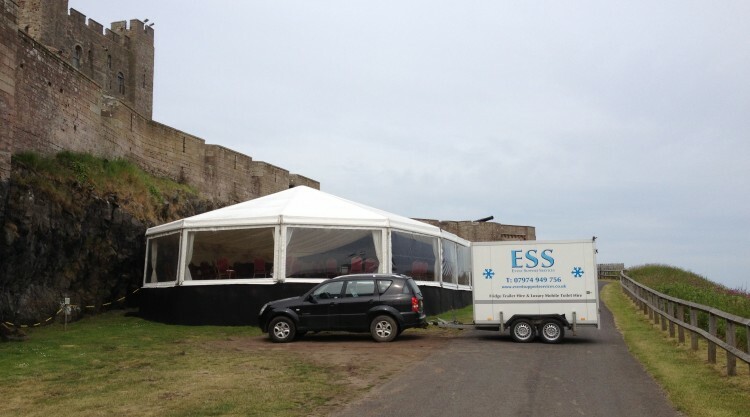 We’ve got a great team here at ESS who want to go that extra mile to make your event go swimmingly. Isla is the youngest member of the squad and can regularly be seen ‘assisting’ Daddy when he’s getting ready for the next trip. I am absolutely delighted to recommend Simon Vickers and his team at Event Support Services. They provided a bar and bar service for a party in three giant hat tipis on Bamburgh Village green to celebrate our wedding the day before. The bar that they erected was absolutely perfect for the space had the rustic look and abeyance that we had hoped for, it was solid and did not look at all like a temporary structure. I am an Interior designer and my husband is an architect and we were delighted! Simon had helped us choose the beer, wine and spirits for the night, he was so helpful though out all our dealings and his team were too. He was completely reliable and put me at my ease when I was making sure that everything would come together – a total gentleman. I would have not hesitation to ask Event Support Services him to help me again with any events in the future. We were pleased to provide Luxury Toilet Facilities for the 900+ competitors and staff taking part in the Deloitte Ride Across Britain. 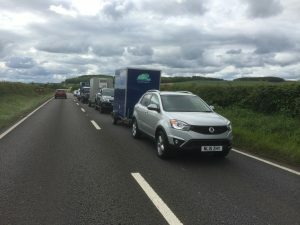 This involved 700+ cyclists riding from John O Groats to Lands End in 10 days with 9 very well appointed base camps to come back to every night. In doing so these riders helped to raise £365,000 for Paralympics GB. We set up units in some of our most challenging destinations to date such as John O Groats, Bonnar Bridge, and Fort William. An example of one of the brilliant venues that ESS work with. We will try our best to place our trailers in the most effective place for the event.